There is no better way to wrap your head around Japan's 400 years of history and culture than a trip to Edo-Tokyo Museum in Ryogoku. It's a must for first time travelers looking for some insight into Tokyo's evolution from rural living, to the bustling metropolis it is today. Broken up into zones covering each important historic period in Japan, you'll find exhibits illustrating daily living during the Edo period, complete with life size models of living quarters. What we really like about this museum is that they not only focus on Tokyo's past but also their future. 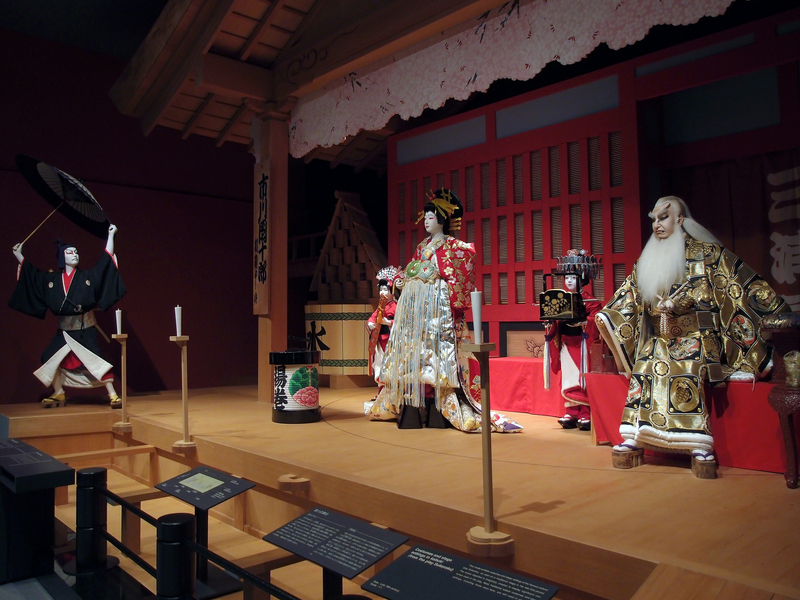 Those interested in learning more about the Geisha culture will love the geisha kimono exhibit, which touches on education and dressing ceremony. Don't miss the Kabuki theater for some seriously detailed costumes and fantastic. The lower levels show more recent history such as the industrial revolution and the impacted of World War ll. Most of the explanations are in English, however there are free guides you can use if you need further explanation. If you're an architectural buff make your way over to the Edo Tokyo Open Air Architectural Museum, where you can take in beautiful examples of Japanese historic buildings. The Edo architectural museum is a 'wing' of the main museum. The open air museum is fun because you can actually enter the buildings giving you glimpse into how life really was. There are even some examples from the Meiji Era, which are hard to find these days. The Edo Tokyo Museum hours are standard (9:30am - 5pm and 7:30 on Saturday) except on Monday when the museum is closed. However, tourists should keep in mind that if a national holiday happens to fall on the Monday the museum does open and closes the next day (Tuesday) instead. Prices are fairly cheap at the Edo Tokyo Museum, 600¥ for adults and 480-300¥ for students.